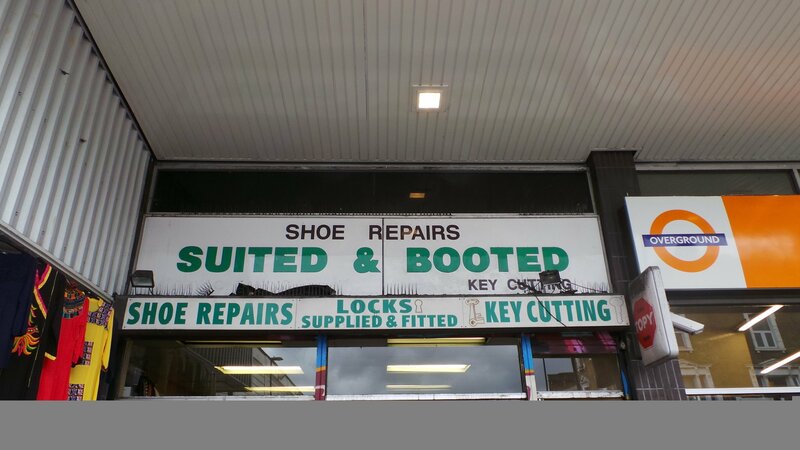 “Suited and Booted Shoe Repairs” next to Dalston Kingsland Station is a propa’ east end staple. and they fix shoes CHEAP! TRANNIES OF EAST LONDON! This is the ONLY place to get your heels fixed, your keys cut and you boots filled! In the words of Suited and Booted’s receipt slip, “A shoe worth wearing is worth repairing!”. Located directly to the left of Dalston Kingsland station on Kingsland Road.